Spick & Span are delighted to offer window cleaning in West Norwood SE27. Book efficient and reliable window cleaners in West Norwood who have years of window cleaning experience. Call us now to discuss your cleaning requirements: 0745 649 5516. As local window cleaners to West Norwood we offer residential and commercial window cleaning services of a very high standard. Spick & Span window cleaners are reputable, professional window cleaners local to West Norwood, and not ‘a man with a ladder’ type company. Spick & Span window cleaners are well equipped reliable professionals that provide tailor made window cleaning services of the highest level within West Norwood. Spick & Span window cleaners can provide references and proof of their Liability insurance cover. Spick & Span window cleaners have also been CRB checked, So you can book a window cleaner with complete confidence. Why choose Spick & Span’s West Norwood window cleaner services? Spick & Span are professional window cleaners local to West Norwood. Spick & Span window cleaners perform one-off job window cleaning and regular window cleaner services in West Norwood. Sadly the reputation of the window cleaning industry has been damaged by untrained and unscrupulous individuals who start up window cleaning in West Norwood just to make a quick sum of money. Often times these DIY type individuals wreak havoc on the homes that they clean. These unprofessional window cleaners use dirty cloths, dirty water and often make an absolute mess within the home. Never enter into a contract with a window cleaner in West Norwood until first you have checked references or testimonials. Spick & Span are happy to offer window cleaning services in West Norwood and the surrounding area. We provide a same-day and immediate response window cleaning service in West Norwood, when possible. We carry out commercial window cleaning and residential window cleaning in West Norwood. 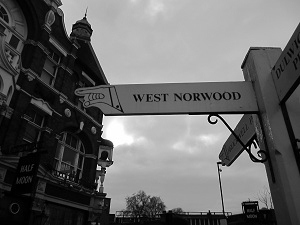 West Norwood is a bustling part of capital in which many vehicles daily pass. Because of this, the build up of grime and pollutants on windows soon begin to cause a nuisance. Windows that are dirty restrict light from entering your property and make the home dreary. Spick & Span offer window cleaning services in West Norwood which will help bring light in to your dwelling or work location. Spick & Span would be delighted to provide you with a free quote or to discuss your cleaning requirements.Arrange a booking. Window cleaning in SE19, Crystal Palace, Gypsy Hill, Upper Norwood. Window cleaning in SE20, Anerley, East Penge, Penge East, Penge, West Penge. Window cleaning in SE21, Dulwich, Dulwich Common, Dulwich Village, North Dulwich, Sydenham Hill, West Dulwich. Window cleaning in SE26, Lower Sydenham, Sydenham,, Upper Sydenham, West Norwood. Window cleaning in SE27, West Norwood.